From 11:00 am to 1:00 pm following the service there will be a gathering in the ministry center for a time of sharing memories with the family. Kenneth “Fuzz” Bauman, age 88 of Holland, passed away Tuesday, December 19, 2017 at Holland Hospital. Born March 23, 1929 in Holland, he went on to marry the love of his life Dorothy, who he was married to for 66 years. He was a graduate of Hope College, and received his Master’s degree from University of Michigan. 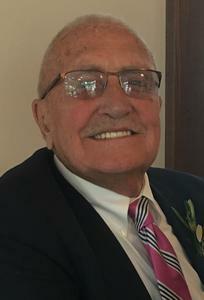 Fuzz taught and coached in the Hudsonville and Holland Public School districts, he also served the Holland Public Schools as the Athletic Director for 10 years. He was a member of Calvary Reformed Church and a veteran serving the US Army in Germany from 1953-55. He and his wife Dorothy served as program directors at Camp Geneva from 1966 through 1977. He was a beloved son of the Lord who, by example, showed his Christian faith in his walk with God. He was preceded in death by his wife Dorothy in July of this year. He is survived by his children; daughter, Nora (Darrel) Joyce; son, Ken (Mary) Bauman; daughter, Julie Campbell; grandchildren, Abby (Andy) Glover, Sam Joyce, Ken (Anne) Bauman, Kevin (Alyssa) Bauman, Ben (Melanie) Campbell, Alex Campbell, Emily Campbell; great-grandchildren, Ellery Glover, Tad Bauman; sister: Audrey and Elmer DeJonge; and long-time friend, Phyllis Baldwin. A memorial service will be held at 10:00 am, Saturday, December 23, 2017 at Calvary Reformed Church, 995 East 8th Street in Holland. Reverend Dan Carter will be officiating. Everyone is welcome to a gathering in the Ministry Center from 11:00 – 1:00 pm following the service. Memorial contributions may be given to Camp Geneva. Arrangements are by Dykstra Funeral Home – Downtown Chapel.